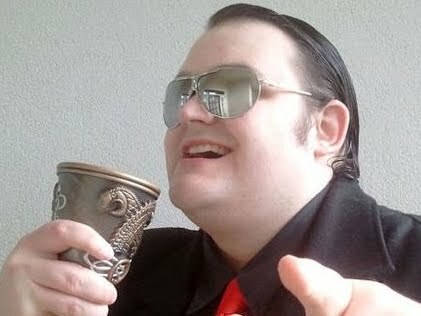 We certainly get sent all manner of weird tat and nonsense in our role as semi-professional videogame jesters, and sometimes it's just ridiculous enough to achieve the desired effect and get a post. 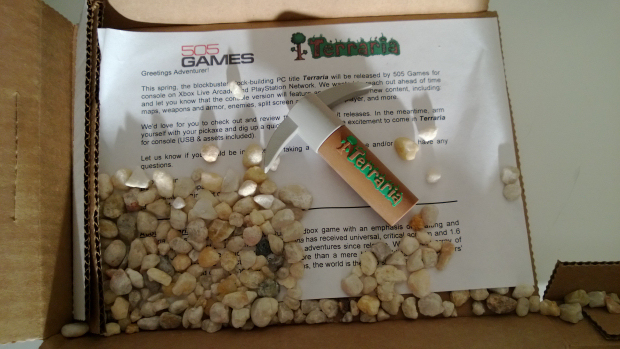 Here's 505 Games, literally sending me rubbish to promote Terraria's XBLA/PSN release. It's a game about crafting stuff from stuff, so what better way to promote the console port than with a box full of pebbles and a rubber pickaxe? To the marketing department, it's a savvy and cute idea. To me, it's a box of stones I now have to deal with. Well played, 505. Well played. Game's out in Spring. Now if you'll excuse me, my hands are covered in grit and stone dust. My job is so beautifully ridiculous.